Game Expansions and DLCs available for Rise of the Tomb Raider Video Game. A single player expansion for Rise of the Tomb Raider. The players once again assume the role of the fearless archaeologist, Lara Croft. This time we must assist Lara in exploring her family estate. The heroine must prove that she is the rightful heir to the great fortune accumulated by her ancestors. 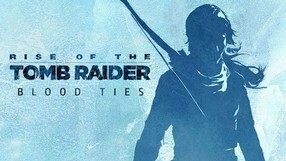 In contrast to the basic game, action of Rise of the Tomb Raider: Blood Ties is limited solely to Croft Manor. Aside from the story, the game includes Lara’s nightmare, a special mode similar to various horde modes. The protagonist has to defend the manor against monsters taken out straight of her nightmares, using a wide variety of weapons. The expansion has been released in digital distribution, and as a part of a special edition: Rise of the Tomb Raider: 20 Year Celebration. PlayStation 4 version includes support for PlayStation VR - virtual reality goggles. The first story expansion offered as part of the Season Pass to Rise of the Tomb Raider - an action-adventure game developed by Crystal Dynamics. Created by the authors of the basic game, the expansion doesn’t change anything when it comes to the graphics or gameplay mechanics, adding only a new adventure of Lara Croft. 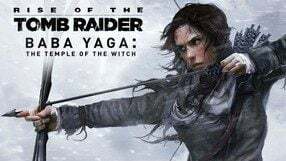 In the Baba Yaga – The Temple of the Witch expansion, the protagonist journeys to an infamous forest, where she searches for a lost Russian expedition. Once there, she learns that she must face a real nightmare and that the mysterious events are caused by witch Baba Yaga, well known character from Slavic myths and legends. During the adventure, Lara will face enemies she has never seen before and explore a previously unavailable location that encompasses the above mentioned forest and a tomb located in its heart. The DLC also adds a new costume for Lara and gives the players access to a bow.